Pacifica TWST and Peter Thomas Senese are pleased to announce the exclusive Amazon E-book release of CHASING THE CYCLONE that is being hailed by numerous Amazon's HALL OF FAME book reviewers and readers everywhere as a fast paced suspense thriller wrapped within the ultimate love story between a father and his son. Inspired by the best-selling author's harrowing experience of racing into the dark and dangerous storms of having a child internationally abducted to the other side of the world, and a father's willingness to stop everything in his life to fight incredible odds to find and reunite with him, critics and readers alike calling CHASING THE CYCLONE by Peter Thomas Senese the ultimate love story that every loving parent should read. The electrifying novel that darts around the world that has caused more than a few e-book readers to toss their reading device due to Senese's story and ability to enrapture the reader as if they are one with the story's main protagonist, Paul Francesco, has been called by many as a unique novel with potential epic social ramifications. Senese's thriller has been called as a call-to-arms against child abduction, while proceeds from the novel have been used to help build a large pro bono attorney network of lawyers willing to assist parents who have children targeted for abduction, as Peter Thomas Senese has made significant donations to the I CARE Foundation, something he has pledged to continue to do. CHASING THE CYCLONE is presently available exclusively in E-book on Amazon until February, when the novel will be released worldwide in hardcover. Peter Thomas Senese, who is the founding director of the I CARE Foundation, a not-for-profit organization created to help prevent international child abduction, is donating 100% of his author royalties to the foundation that remarkably reunited 4 different families with their abducted children. Mr. Senese commented, "When I was CHASING THE CYCLONE of child abduction, I made a promise to my God that one day I would come back to this fight, and make a difference for other children and their parents. In donating my royalties to the I CARE Foundation, we were able to help reunite children who were criminally abducted with their families. So in this sense, I suppose, readers of my novels have a direct and measurable way to participate in helping children." Peter Thomas Senese commented, "CHASING THE CYCLONE is the story of the greatest type of love of all: the love and commitment a parent holds for their child. Imagine having a complete life, filled with all the niceties you can imagine, when suddenly your defenseless child is used in the most unthinkable of schemes intended to cause you great hurt, and is criminally abducted to some unknown place on the other side of the world. Now imagine that the only thing that stands between bringing your child home or having your child lost forever, is you and your willingness to face the ultimate sacrifice. Well, that is what happens when a parent finds themselves CHASING THE CYCLONE of international child abduction. Amazon's renown HALL OF FAME reviewers are praising Senese's international legal thriller CHASING THE CYCLONE as an electrifying love story fans of high suspense thrillers should read. CHASING THE CYCLONE, presently available exclusively as an E-book on Amazon in E-book, is a heart-pounding story of father's search for his internationally abducted child inspired by the author's own experience chasing the cyclones of abduction. Peter Thomas Senese added, "When I think of CHASING THE CYCLONE, I think of the ultimate and unbowed love a father has for his child. Granted, the circumstances of the story's main character Paul Francesco finds himself in are unthinkable and may make no sense . . . unless of course, you are a parent who knows abduction, thus, this is a legal thriller of immeasurable proportions, however, for me . . . and based upon my own experiences, CHASING THE CYCLONE is the ultimate love story between a parent and their child." Peter Thomas Senese is also donating all author royalties generated from e-book sales of 'The Den of the Assassin' and 'Cloning Christ' to the I CARE Foundation. Best-selling author Peter Thomas Senese is writing with a deep purpose: royalties generated from his critically talked about novels have and will continue to be donated to the I CARE Foundation, a not-for-profit charitable organization the writer is a director of that was created to help prevent international child abduction. Peter Thomas Senese's resources have been put to great use: over the past week alone the I CARE Foundation was able to orchestrate the return of three abducted children, including a child taken from a cancer fighting mother, a young child taken and detained in war-torn Ivory Coast for the past 8 years, and another child removed from the southwest. Three international thriller E-books by best-selling author, filmmaker, and child advocate Peter Thomas Senese have been the primary financial resource of the I CARE Foundation. Fortunately, top book critics are raving about the writer's geopolitical must read, inspirational thrillers. Peter Thomas Senese's geopolitical novels include CHASING THE CYCLONE, THE DEN OF THE ASSASSIN, and CLONING CHRIST written by best-selling geopolitical thriller writer Peter Thomas Senese. All three titles are available in E-book. Chasing The Cyclone will be released in hardcover this February, while both CLONING CHRIST and THE DEN OF THE ASSASSIN are presently available in hardcover. Commented Peter Thomas Senese, "It has been very satisfying to know that the sales generated from my works are protecting children, and potentially saving lives. I am honored to work with my esteemed colleagues, including renown Department of State "Hague Convention Attorney Network" lawyers Patricia Lee and Joel Walter and the brilliant child psychologist, Dr. Alex Gimon, all whom are directors and warriors for targeted children of the foundation." 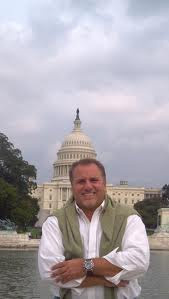 Peter Thomas Senese is a child abduction prevention advocate actively engaged in trying to stop international child abduction and human trafficking. He is a director of the I CARE Foundation. 100% of Peter Thomas Senese's royalties earned from the E-book releases of Chasing The Cyclone, The Den of the Assassin, and Cloning Christ will be donated to the I CARE Foundation. He added, "The I CARE Foundation is actively trying to reunite other children who have been internationally abducted with their families. I think my readers have a deep sense of satisfaction knowing that when they purchase one of my novels, they are making a measurable difference in the life of a defenseless child - and that is pretty cool." Readers and critics alike are praising Peter Thomas Senese's legal thriller CHASING THE CYCLONE as a heart-pounding international mystery thriller that does so much more than entertain the writer's audience: CHASING THE CYCLONE has been assailed as a call-to-arms against international child abduction, and, an extraordinarily educational book that provides highly useful information for millions of parents each year at risk of having a child abducted. Best-selling author Peter Thomas Senese's inspirational legal thriller is perhaps one few other writers could have written with such intimacy, familiarity, and depth of understanding: a story of a father doing everything possible to find and reunite with his internationally abducted child that is Peter Thomas Senese'sCHASING THE CYCLONE because it is heavily inspired by the writer's experience chasing into the cyclones of international child abduction. The novel has been released in E-book and will be available in hardcover in the beginning of February wherever books are sold. In fact, many of Amazon's renown HALL OF FAME reviewers are praising CHASING THE CYCLONE as an electrifying story fans of high suspense must read. CHASING THE CYCLONE is presently available in E-book on Amazon and Barnes & Noble in E-book and will be released in hardcover at the end of February, 2012. Peter Thomas Senese's new book release CHASING THE CYCLONE __title__ ]has caused more than a handful of critics and readers to develop deeply frustrating and angry emotions that they have actually thrown or wanted to throw the author's riveting international legal thriller or their e-book reader against a wall, a door, or through a window. Ordinarily, an author would not have any desire to have a reader's feelings erupt to the point of physical action, unless of course, the storyline is intended to touch the reader's nerve in such a way that they feel the need to physically act. Additionally, Amazon Top Book Reviewer Shelley Gammon added, "Chasing the Cyclone" is the second book I've read by Peter Thomas Senese, and like "The Den of the Assassin," it's a real page turner... This was a book I could not put down. Senese has a gift in writing a compelling novel that not only keeps the reader engaged, but educates as well." 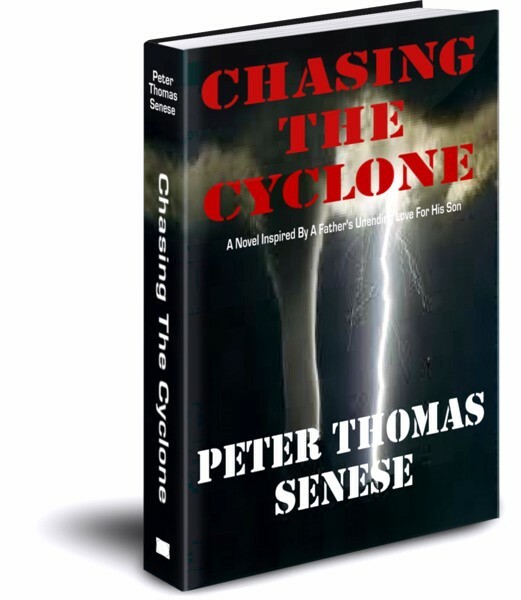 Added Peter Thomas Senese,"Chasing The Cyclone" is an entertaining book many readers have connected to as it is a serious legal thriller that hits a nerve with our desire to love our children best we can." Peter Thomas Senese is the author of geopolitical thrillers including THE DEN OF THE ASSASSIN and CLONING CHRIST. Peter Thomas Senese's legal thriller is deeply inspired by his own personal experiences of having a child internationally abducted and taken to the other side of the world, as well as the hardship thousands of other targeted parents and children of international abduction face each year. International parental child abduction is a federal crime in most countries, including the United States and Canada. The author has become an outspoken advocate against international child abduction. Peter Thomas Senese is donating 100% of his author royalties to the I CARE Foundation - a non-profit organization dedicated to assisting prevent international child abduction. Peter Thomas Senese commented, "I am pleased to donate my author royalties to the I CARE Foundation as the organization is dedicated to making a positive difference for children and parents targeted for abduction. In writing and releasing CHASING THE CYCLONE, similar to my other projects I have created that deal with child abduction, it is my hope to educate others of the real issues at hand so that children and targeted parents may be protected." The Department of State's Office of Children's Issues is seeking lawyers interested in participating and assisting parents involved in international family law and child abduction cases to join the "Hague Convention Attorney Network". The Department of State's attorney network offers attorneys the opportunity to assist a child who has been abducted abroad, and offers a mentor program where lawyers with limited experience in the growing field of international family law can be mentored by some of the most skilled international family law attorneys in the nation. According to the I CARE Foundation, the surging growth in the number of international child abductions and prevention cases in the United States, which may reach over 100,000 reported and unreported cases over the next decade has created a substantial need for more trained attorneys in the United States who are familiar with international family law. According to a recent study by the I CARE Foundation, international child abduction rates are significantly higher than what is commonly projected due to a failure to include the extensive number of unreported cases of abduction connected to undocumented residents failing to report cases of international parental child abduction. According to Peter Thomas Senese and the I CARE Foundation's recently published resource guide on international child abduction titled 'The World Turned Upside Down,' the total number of 'unreported' cases of international child abduction in the United States is surging at levels forecasted to be equal to or greater than the total number of 'reported' cases due to a lack of knowledge by undocumented residents living in the United States and due to limited understanding by family lawyer practitioners that legal remedies exist under the Hague Convention that can enable for the return of a child. 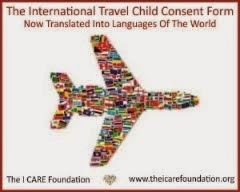 As international child abduction grows to epidemic proportions, the I CARE Foundation seeks lawyers to join the Department of State's "Hague Convention Attorney Network". Many undocumented residents living in the United States who have had their child abducted abroad do not realize they have legal rights under the Hague Convention or are hesitant to turn to OC I for assistance, though OCI is willing and able to assist them under rules of The Hague Convention. Due to limited understanding by undocumented residents living in the United States, along with attorneys practicing family law who are unfamiliar with the provisions of The Hague Convention and a child's habitual residency, the majority of targeted undocumented parents of abduction are never reunited with their abducted child due to their failure to file a Hague Convention case with the Department of State. Prevalent amongst unreported abduction are cases of abduction occurring on American soil by undocumented residents who originate from Mexico, South and Central America. Gloria Nyberg, born in Bogota, Columbia, a member of I CARE's Advisory Board, and a child advocate with a long and esteemed history of reuniting children who have been particularly abducted to South and Central America, said, "Over 20 years ago, when I first became aware of the incredible amount of children taken by parents and strangers out of the United States, many of them to never been seeing again by the families, I decided to help and bring some remedy to the problem. I have worked successfully with the Mexican and other Latin American countries' governments in particular, assuring the undocumented community living in the United States that the government will cooperate with them and try to protect and return their children regardless of their legal residency status. Personally, I never had or even heard of a deportation due to reporting a child missing. In my many years of experience in these area, and having helped to bring over 60 children back to their custodial parent, I have always found the United States governmental agencies have cooperated extremely cooperative regardless of immigration status. Undocumented residents need to know that they can turn to the OCI for assistance because the individuals are there to truly help them and their abducted children." A highly informative report compiled by the renowned Washington based Pew Hispanic Center reports that most immigrant groups are comprised of young families. The likelihood that a child will be born while the parents are present in the U.S. is high. Prior to 2007, data collected on parents of children under 18 only identified one parent, and a second parent could only be identified if they were married to the first parent. Currently, a second parent identifier is considered whether or not the parents are married to each other. Although 31.3% of all immigrants originate from Mexico, other countries have significant entry numbers as well. Included in the March 2007 Current Population Survey (CPS) were statistics indicating that 17.6% of all immigrants were from East/Southeast Asia, 12.5% from Europe, 5.5% from South Asia, 3.5% from the Middle East, and Canada at 1.9%. In 2007 CPS, it was estimated that of the approximately 37.9 million immigrants present in the U.S., nearly 1 in 3 immigrants were present illegally. In regards to children born to illegal immigrants, in the five-year period from 2003 to 2008, that number rose from 2.7 million to 4 million. The report published by the Pew Hispanic Centers reported that nationally the children of illegal immigrants now comprise 1 in 15 elementary and secondary students in the U.S. In Arizona, California, Colorado, Nevada and Texas more than 1 in every 10 students in those states are the children of illegal immigrants. One of the most recent Department of State reports to Congress reports that over 1,640 American children abducted abroad. 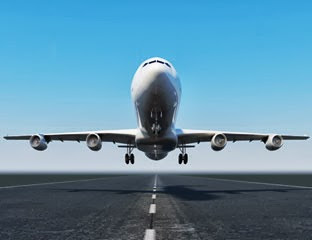 In addition, a recent Government Accountability Office report cites that the number of reported international child abduction cases nearly tripled from 2006 to 2009. According to the published findings cited in Peter Thomas Senese and Carolyn Ann Vlk's 'The World Turned Upside Down', if current growth projections occur, over 50,000 American children will be 'reported' abducted internationally from now until 2020. This number is expected to be mirrored by the number of 'unreported' cases. New York attorney Joel S. Walter, a Director of the I CARE Foundation, stated, "It is unfortunate that children who have habitual residency in the United States and are the offspring of undocumented residents are internationally abducted without the targeted parent knowing that they and their children have rights under the Hague Convention and that the Office of Childrens Issues is there to assist them. Part of the I CARE Foundation's mission is to help educate this community and potentially attorneys who may be of assistance to them." For more information, the I CARE Foundation urges all parents, including documented and undocumented residents, who have had a child of habitual residency living in the United States, to contact the Department of State's Office of Children's Issues Outreach Division for further information. Lawyers representing undocumented parents or who are interested in finding out more information, including those considering joining the "Hague Convention Attorney Network" are also urged to contact OCI. Chasing The Cyclone, Peter Thomas Senese's deeply inspired novel that critics are praising which is now available in E-book and soon to be released in hardcover, depicts the story of a father who had to Chase the Cyclone of international abduction. The author has become an outspoken child abduction prevention advocate, and has assisted numerous children and parents prevent against abduction or reunite with their children. 100% of Peter Thomas Senese's royalties earned off sales from Chasing The Cyclone are being donated to the I CARE Foundation, a non-profit organization established to help prevent international child abduction. Imagine having your child internationally abducted abroad, disappearing in a sea of billions of faces. Now Imagine that the only help you're going to get trying to locate your child rests solely on your own shoulders. Best-selling author Peter Thomas Senese, who unexpectedly became a parent Chasing The Cyclone of international child abduction is pleased to announce the release of his deeply inspired Chasing The Cyclone, a novel about a father's global journey into the unthinkable world of child abduction critics and readers everywhere are praising as a thrilling, can't-put-down book with a purpose. Chasing The Cyclone is now available in E-book, and will be released in hardcover later this month wherever books are sold. The Examiner, in its review of Peter Thomas Senese's "Chasing The Cyclone" stated that the novel, "Very well change the way you look at life, child custody, and interactions with your child's other parent. I cannot endorse this book strongly enough." Amazon top book reviewer Daniel Jolley supported the Examiner's statement when the renown book critic said, "I would go so far as to encourage every loving parent to read this book." Similar sentiments have been shared by some of Amazon's top book reviewers, Peter Thomas Senese's novel "Chasing The Cyclone" is a masterful, high-octane international legal thriller that enraptures readers into the dark and unthinkable world of global parental child abduction. Inspired by the best-selling author's own experiences racing into the storms of child abduction, Amazon's critics have called "Chasing The Cyclone" 'a Call-To-Arms against this worldwide epidemic and Peter Thomas Senese as a master storyteller.' "Chasing The Cyclone" is now available via E-book from online merchants, and will be available in hardcover wherever books are sold in the beginning of 2012. Peter Thomas Senese commented, "Chasing The Cyclone is many things. The storyline of what occurs for children and targeted parents of international abduction is in itself, a very tense, thrilling, and insane plot that unfortunately many real-life parents of abduction can relate to. However, throughout the unthinkable, there are in fact many important issues covered that impacts tens of millions of people each year. I am humbled and satisfied that reviewers of 'Chasing The Cyclone' have enjoyed and embraced this story. It means a great deal to me." Top critics and reviewers have praised Peter Thomas Senese' "Chasing The Cyclone." Added Peter Thomas Senese, "Chasing The Cyclone" is an entertaining book many readers have connected to as it is a serious legal thriller that hits a nerve with our desire to love our children best we can. Knowing first-hand what it is like to have this type of horror enter your life, I have tried to make a difference for other parents. Part of that is donating 100% of my royalties to the I CARE Foundation." Patricia Lee, a highly respected international family law attorney practicing international child abduction for nearly 20 years and a Director of the I CARE Foundation (International Parental Child Abduction Research and Enlightenment Foundation) stated, "I had the pleasure of meeting Mr. Senese first, not as an acclaimed fiction writer, but as a dedicated child advocate helping victimized parents work through the morass of financial, legal and practical issues in their attempts to reunify with their children.I am humbled by his fierce dedication and support to the I CARE foundation, which portends to be a milestone in the State Department’s efforts to recruit and train lawyers in this area of the law in order to better serve targeted children and parents, while also educating an uneducated judiciary. Thank you, Peter for all of your impactful dedication." To learn more about Peter Thomas Senese, please visit the author's official website. Best-selling author Peter Thomas Senese was unexpectedly forced to race into the nightmare known as international child abduction several years ago. Drawing from a tragic experience that took him to the other side of the world, the geopolitical writer who was thrust into a real-life international legal high-stakes thriller, has written a rare novel that few writers possibly could in the gripping story of a father's unbowed love for his abducted son, and his desire to find and reunite with him. Best-selling author Peter Thomas Senese has written an inspirational legal thriller that perhaps few other writers could have written with such intimacy, familiarity, and depth of understanding: a story of a father doing everything possible to find and reunite with his internationally abducted child that is Peter Thomas Senese'sCHASING THE CYCLONE which is heavily inspired by the writer's experience chasing into the cyclones of international child abduction. Many of Amazon's renown HALL OF FAME reviewers are praising best-selling author's Peter Thomas Senese's recently released E-book international legal thriller CHASING THE CYCLONE as an electrifying story fans of high suspense legal thrillers readers and every loving parent must read. CHASING THE CYCLONE is presently available in E-book on Amazon and Barnes & Noble in E-book and will be released in hardcover at the end of January, 2012.